There’s a big difference between Mesh-Enhanced Carrier Class Wi-Fi and consumer grade alternatives. Learn what makes it a true competitive advantage. The GigaCenter is a powerful system that provides superior Wi-Fi performance and coverage for consumers. Perhaps most importantly, the GigaCenter allows service providers to get strategic, offering subscribers Managed Wi-Fi. Why settle for status quo when you can deliver the sensational? Expansive Wi-Fi coverage, intelligent adaptability, Calix Cloud manageability – all designed to exceed subscriber expectations and help you become Wi-Fi heroes. 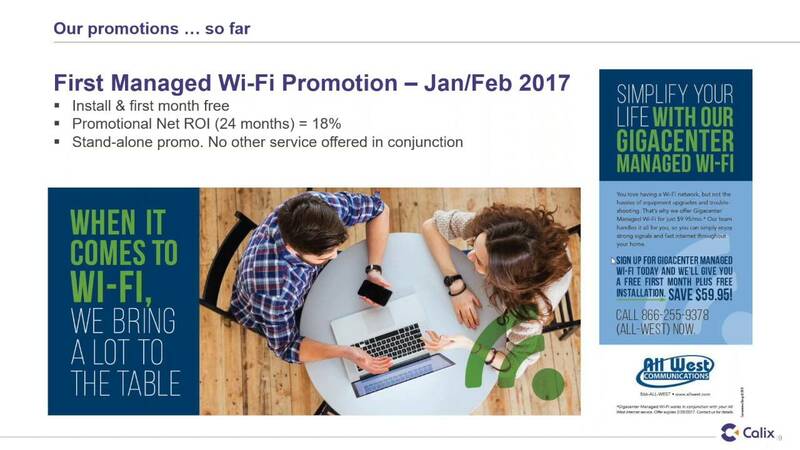 Managed Wi-Fi is a critical first step, but the journey to sensational subscriber experience doesn’t stop there. Your subscribers may experience Wi-Fi issues in hard-to-reach areas of their home. A Calix 804Mesh satellite is the answer to extending the great service that you provide to include all areas of their home — and beyond. With the addition of the 804Mesh satellites and software enhancements to your existing GigaCenters, give your customers a sensational Wi-Fi experience for pennies a day. Your subscribers have likely checked out the rows of routers, gateways and mesh extenders online or in their local retailer. The trouble is, what seems like a ‘best buy’ will cause headaches for them and for you. 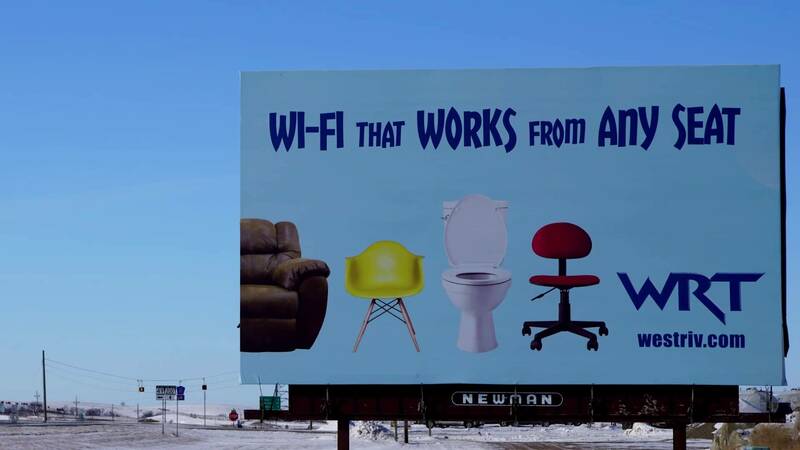 Research shows that more than half of broadband households experience Wi-Fi issues. And, most of the time, consumers are going to call you for support; regardless of where they purchased the device. Not much of a ‘best buy’ for you or your subscriber. With Managed Wi-Fi from Calix, you have the capabilities required for a Wi-Fi offering that delivers unsurpassed quality of service to subscribers. The GigaCenter provides expansive Wi-Fi coverage and intelligent adaptability, with complete remote management from Calix Support Cloud. With the introduction of the 804Mesh satellites, you can now offer a whole home Wi-Fi service that ensures the highest quality connection throughout an entire home or small business. Calix Whole Home Wi-Fi solution delivers the Reedsburg Utility Commission’s new LightSpeed service offering, which eliminates tiers and gives all subscribers Gigabit Internet. Our customers agree. Managed Wi-Fi is the first critical step to an exceptional subscriber experience. Troy Schilling and James Byerley, from WRT in North Dakota, explain how to use the Calix GigaCenters and 804Mesh products to deliver premium Wi-Fi throughout their subscribers’ homes. Consolidated Telcom in North Dakota is using Calix GigaCenters to offer a Managed Wi-Fi solution that cuts their support call times and drives new revenue opportunities. ITS Fiber has fully embraced Managed Wi-Fi and is now offering Whole Home Wi-Fi with premium technical support services powered by Calix GigaCenters, 804Mesh satellites, and Calix Support Cloud. They expect to be a leader in the adoption of smart home devices in the future. Subscribers in and around Steamboat Springs, Colorado receive a GigaCenter for their high-speed Internet connection, then ZIRKEL Wireless "never hears from them again"." Watch how our customers have improved the customer experience with Calix GigaCenters and 804Mesh satellite units. Calix Mesh-enhanced Carrier Class Wi-Fi campaign selected for the 2018 Vendor Marketing Award. Bridget Watkins, Vice President - Marketing & Sales for All West Communications discusses the real-world benefits of focusing on improved customer experience. Bridget Watkins, Vice President – Marketing & Sales for All West Communications discusses the real-world benefits of focusing on improved customer experience. The 844E is a powerful, Ethernet WAN service delivery center compatible with Calix ONTs deployed on B6 GPON/Active Ethernet, C7 GPON, E7 GPON/Active Ethernet and BLM GPON. The 844G is a powerful, GPON service delivery center compatible with Calix E7 GPON line cards. Optionally, the 854G also supports RF for video distribution. The 844GE is a powerful, dual mode service delivery center compatible with Calix E7 GPON/Active Ethernet and B6 Active Ethernet line cards. The 844F is a powerful, Gfast service delivery center compatible with Calix E3-16F/E5-16F/E3-48F/E5-48F Access Nodes and industry standard Gfast solutions.